Have you been in the food isle recently? You probably have if you do not eat out 24/7. While walking down each isle, have you noticed any changes with your favourite products recently? Well let me give you a hint. A lot of it is becoming 'Aux natural' So, what exactly were we eating before? My main issue with this natural phenomena is that most of everything that comes in a box is not natural. 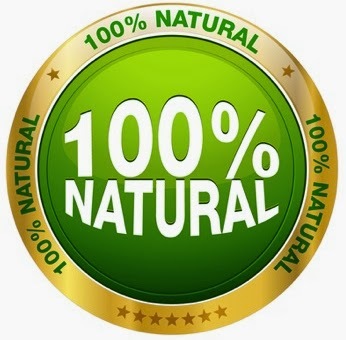 In my opinion, natural foods are foods that be able to identify. All the ingredients should be identifiable like apples and bananas. The exception to food that comes prepackaged are the ones that have ingredients that are not overly processed. Recently I fell in love with Starbucks' Naked smoothies. My favourite in the mighty mango. When shopping for natural products, the ingredients list should be concise. Food companies today are allowed to advertise their products as Natural because the number of natural ingredients is irrelevant. Pretty unreliable if you ask me. This kind of promotion has been done many times before in the food industry before. Remember the sugar free products and the fat free yogurts? Oh and the diet cokes... Really? Where is exactly is the health benefit to drinking a diet coke? This natural food craze is no different. The scary part is that many people are now equating natural prepackaged products to nutrient rich foods that come from nature. The reason for this is probably due to the fact that society is ever changing to our busy lifestyles. People in general do not have the time to prepare a healthy meal. Everything has to be grab and go ready. I'm lucky that I live in the city of Toronto where healthy food is now becoming more readily available. Hopefully more food trucks offer more healthy options to choose from other than burgers and fries in the near future..